We welcome the Murrays to their new home at Scholars Park! A wish to embrace low maintenance living and leave behind the financial burden of an older home has brought two new residents to our Scholars Park development in Darlington. Deputy head teacher, Denise Murray, and retired former engineer, Keith Murray, are proud owners of one of our stunning 4-bedroom Shrewsbury properties. 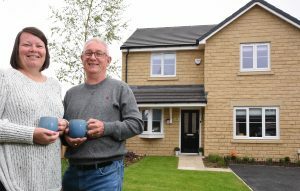 The property was purchased using the part exchange scheme, which allowed the couple to sell their former home and accelerate their move into a dream new property. 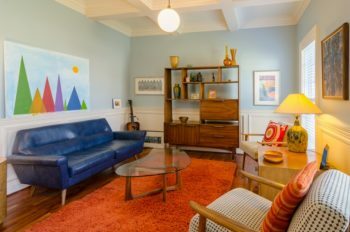 “Our former home in the West End of Darlington was built around the time of World War II and while full of character, the financial implications of running an older home and keeping it in good order were just starting to bite. As I’m now retired, I no longer wanted the worry of dealing with unforeseen repair or maintenance costs and so we started looking for a new build development that could offer everything we needed. 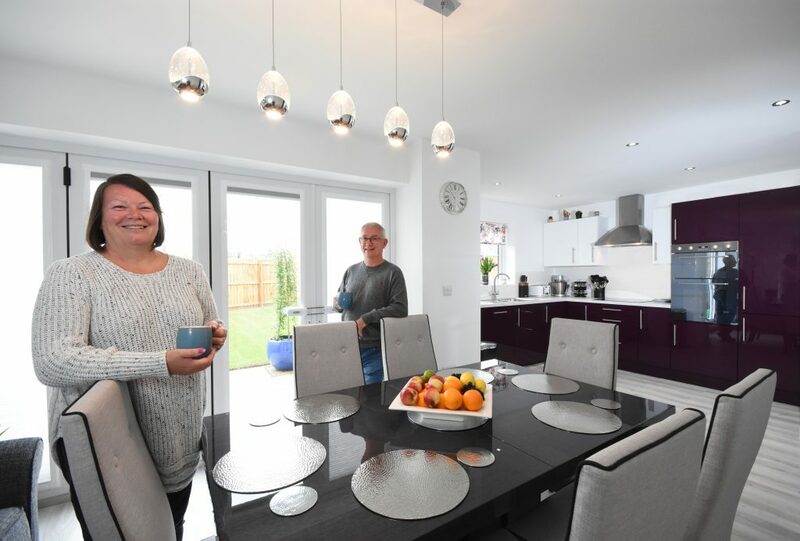 Denise and Keith were unfortunate enough to move in during the challenging weather of the Beast from the East earlier in the year, but that certainly didn’t put them off enjoying their new home from day one. “The sales team couldn’t have been more helpful or efficient when it came to helping us move. They are a very approachable and knowledgeable team and I must say, when it came to the sales process and the part exchange scheme itself, it really couldn’t have been more straightforward. 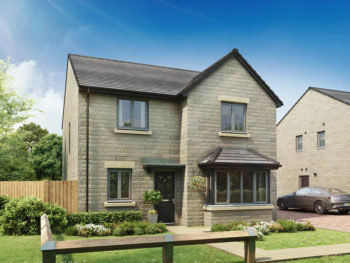 The 4-bedroom Shrewsbury is a deceptively spacious house. 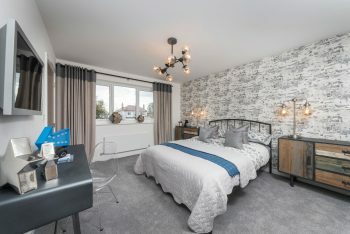 It offers an airy kitchen dining room with bi-fold doors into the garden along with four generous bedrooms, including a master bedroom with an en-suite bathroom. The property brings together practicality and contemporary design to create the ideal modern home in the perfect setting ­— conveniently close to Darlington’s picturesque town centre. “From a design point of view, we really wanted to elevate the look and feel of Scholars Park with stone exteriors to bring a more traditional aesthetic to each of the homes. The overall effect is very striking and we are delighted to hear it is one of the aspects that first attracted the Murray’s to Scholars Park. Could Scholars Park be the ideal place to find your dream home? Find out today by contacting our team on 01325 360 044 and arranging a viewing. Alternatively, you can get in touch via email at enquiries@homesbyesh.co.uk or by using our online Live Chat service. Welcome to Your New Home at Scholars Park, James!